Sectional sofas are a great way to add extra seating to your living room, but they have the potential to cut off the space and make the area seem so much smaller than what it actually is. When it comes to effectively staging sectional sofas, different areas look better when laid out in different ways. 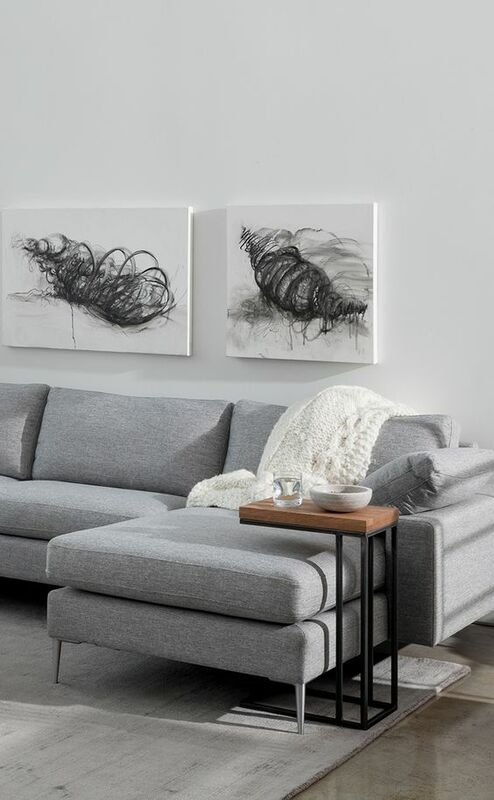 Some spaces look better when the sofa is split and sat across from each other while other areas look better when the sofa is all connected. Regardless, making sectional sofas work in your space is an absolute must if you have a big family, like to spread out or entertain indoors regularly. Normally, sectional sofas work best when the largest section of the sofa is placed nearest a wall. 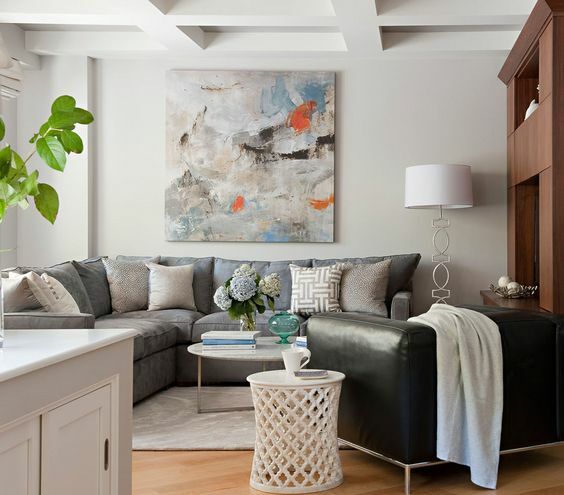 While the sofa does not have to be up against the wall, having the biggest section close the the wall, running the same way the wall runs, it is less likely that the room is cut off. This technique also allows the wall, and the whole area, to seem longer than what it actually is. This is because the first thing people see is the sofa, not the actual wall. Putting the smallest section of sofa up against the wall will do the opposite, making the wall seem small and cramped. If you would like your sofa connected, placing the smallest section of sofa towards the entryway to the area also helps make the area seem bigger and more open. Having the largest piece of sofa covering this entryway will cut off your space, make the space seem awkward and shrink the visible area of space. Having two similar sized pieces of sofa, say a three seater and a four seater piece, a great way to style your area is to have the two lounges facing each other. This is great because, as long as the lounges don’t cover up the entryway, the space seems a lot larger and there is ample room for entertaining. 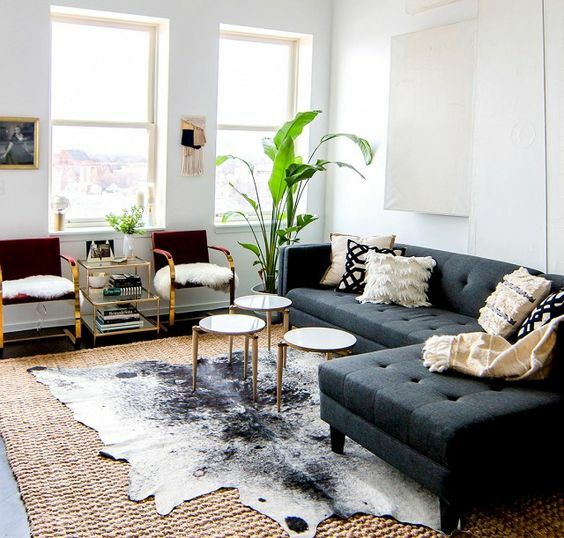 If you have one section of sofa that is significantly smaller than the other, you can still place the two opposite each other and style a pouf or arm chair to go on the same side as the smaller piece of sofa. This is a great way to break up the area, add extra seating and add dimension to the area.